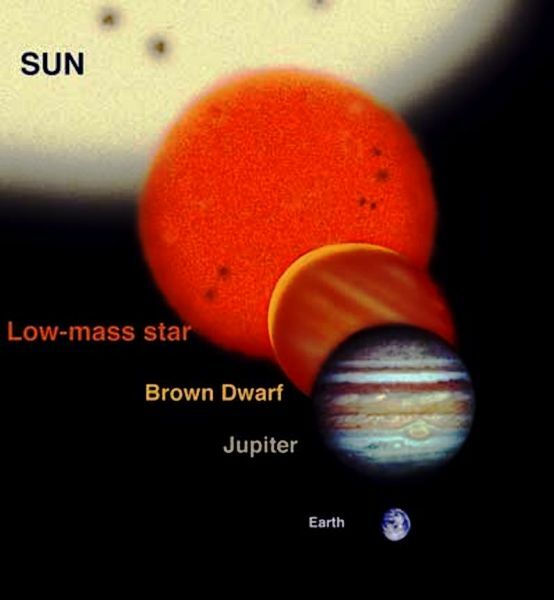 A new paper published this month in The Astronomical Journal by astronomers from the Sloan Digital Sky Survey (SDSS) reports a wellspring of new brown dwarf stellar companions, throwing cold water on the entire idea of the “brown dwarf desert,” the previously mystifying lack of these sub-stellar objects around stars. Most stars in our Galaxy have a traveling companion. Often, these companions are stars of similar mass, as is the case for our nearest stellar neighbors, the triple star system Alpha Centauri. When an object orbits a star, it tugs at it, causing the star to move on a little orbit of its own. 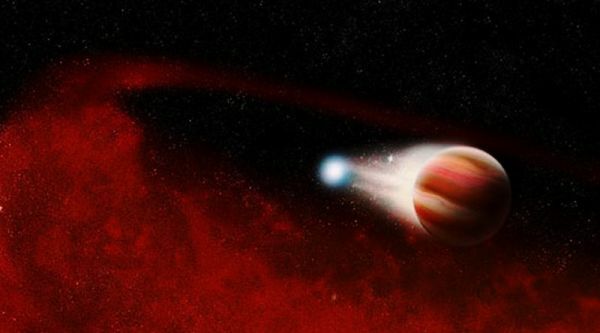 For example, Jupiter tugs on the Sun enough to make it wobble around in space by more than its own diameter. To a distant observer, this wobble can be detected—and the mass of the tugging object can be determined—through changes in the motion of the star. This motion is seen through the Doppler effect, the same phenomenon that is the basis of the patrol officer’s speed gun and the meteorologist’s Doppler radar rain map. While APOGEE was designed to measure the grand motions of stars speeding around the Galaxy, it was never intended to do so at the subtle precisions needed to detect the much tinier wobbles induced by small sub-stellar companions. To undertake such a search, the team started with the 150,000 stars that APOGEE had observed. The astronomers winnowed that collection of stars down to a “prime sample” of about four hundred representing the best examples of stars with companions in the APOGEE data. Among these, they identified about 60 stars with evidence for planetary-mass candidates, which was already exciting. But the real surprise came with the researchers’ extraordinary haul of 112 brown dwarf candidates – twice as many than had been found in the previous 15 years.